Growth doesn’t come without some discomfort (that’s why they call it “growing pains”). When I conduct readings for people, I explain the Death card through the analogy of a reptile shedding it’s skin (I’ve always had a passion for herpetology, especially lizards). There is a period of great discomfort as the old skin begins to itch and slough off. There is even momentary blindness because the dry skin covers the eyes (this is not unlike the grief we feel with transition). Once the skin has come off completely, you will find shiny new skin. It may be tender for a short period of time, but when you take a step back, you will see the reptile has actually grown! 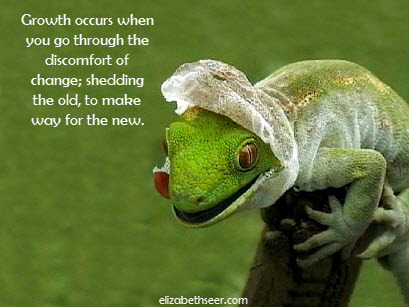 change, death, growth, shedding skin, transition. Bookmark.